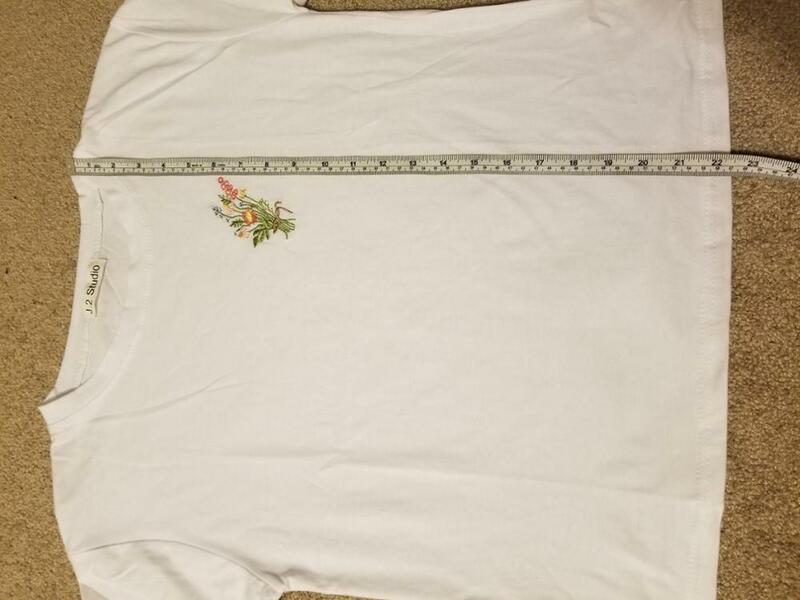 T-shirt with cute embroidered flowers detail. 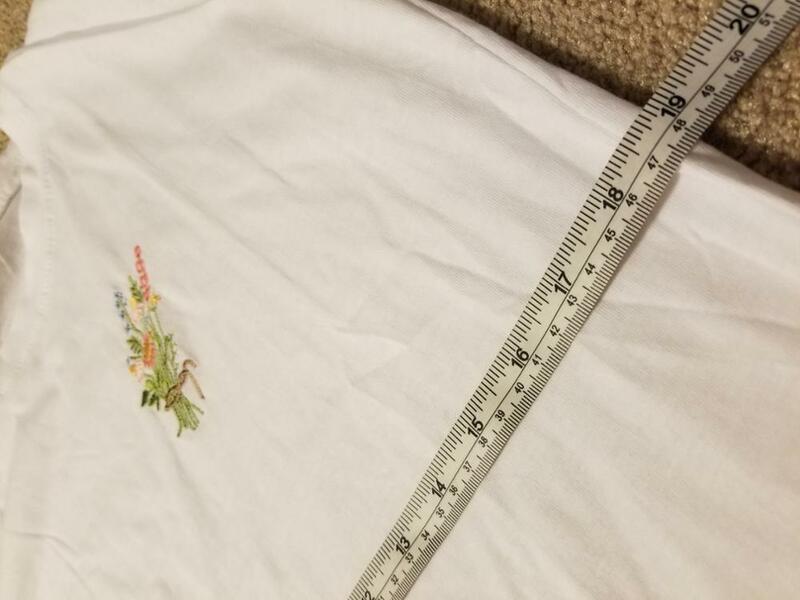 The shirt has a good length (I'm 1. 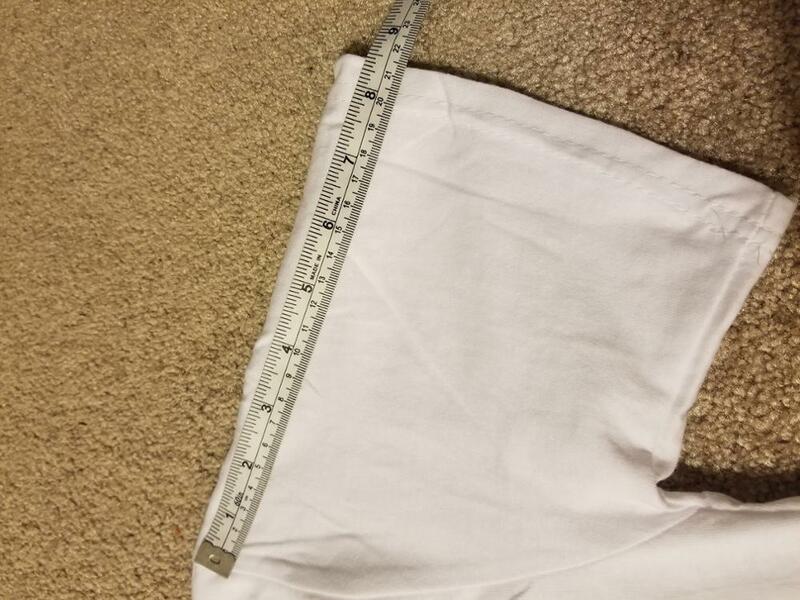 The shirt has a good length (I'm 1.78 cm). Stitching is good. A little transparent, but that's okay. Surprisingly thicker cloth, not very see through at all. Surprisingly thicker cloth, not very see through at all. Great detailed embroidery, sleeves are longer than normal t-shirts (which is what the pictures show). Definitely good for the slightly oversized look if you are UK8 like me. Great purchase! Arrived in UK after 2 weeks.